Everyone is an expert these days. With smartphones getting better and better cameras, there really is no good reason for anyone to take a bad photo on an iPhone, Galaxy S or HTC One device anymore. The same goes for video. But what if you’re a more discerning videographer and the stock iPhone Camera app simply can’t cut it for you because you need some advanced options along with more granular control over what the finished product looks like? 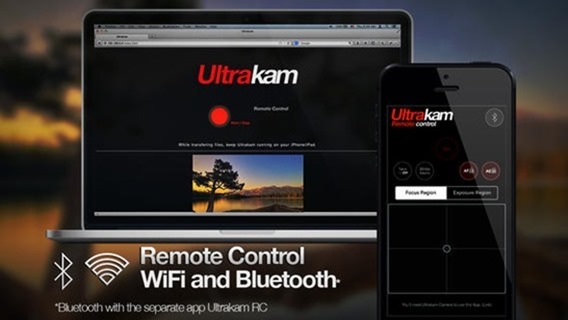 There are plenty of apps that can do just want you need already available on the App Store, but we’re willing to bet that none of them do it quite like Ultrakam. 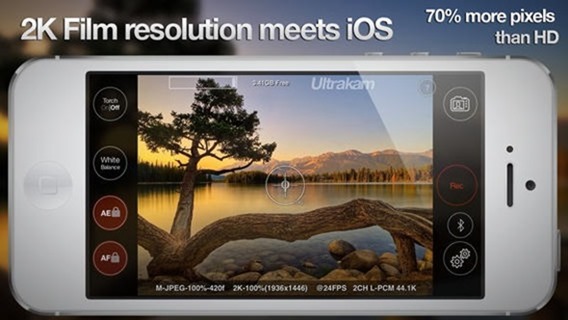 Recently released on the App Store, Ultrakam isn’t cheap at $7.99, and it will be even less cheap when it goes up to its normal price of $12.99. But as with all good things in this life, Ultrakam is well worth the money. In fact, we’d say it’s even worth springing the extra few dollars to get the remote app too. But we’re getting ahead of ourselves. What Ultrakam does is take your existing iPhone (or iPad, for that matter) and allow it to film 2K video, depending on the device you’re actually holding. The iPhone 5s is the one you want, because that’s going to be able to handle all the numbers we’re going to start throwing at you. The lesser devices can also do some of the cools stuff, just with less pixels in play. Needless to say, the iPhone 5s is where it’s at. Using what we can only assume is some sort of voodoo and/or magic, Ultrakam can record video “at 24fps 2240×1672, capture high quality time-lapses at 2592×1936 in any custom interval, and record up to 10X slow motion videos.” For those without a calculator to hand, 2240×1672 is around 70% larger than standard HD. So yeah, impressive. The app also has plenty of post-processing capabilities built right in, and the accompanying remote app lets you use, say, an iPad to control an iPhone via Bluetooth. Perfect for when you need that larger display, or the iPhone is in a remote location and you just can’t interact with it while you’re filming. 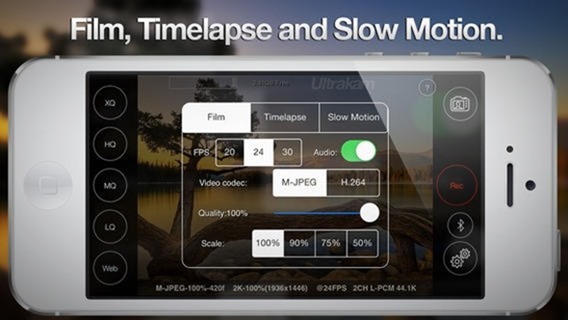 There’s no doubt that Ultrakam isn’t for everyone, but if you’re its target audience of amateur videographers and people who need a little more power from their mobile video recording, then you really do owe it to yourself to at least give this app some attention.